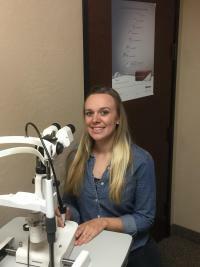 Kym has been with Sonoran Desert Eye Center since January 2009 and has had a variety of positions. She became a Technician in early 2016. She is experienced, friendly, reliable, and kind. Kym is skilled at fitting contact lenses. She as also been cutting eyeglass lenses in our optical lab for years. Kym has experience as a receptionist and optician in our office as well. As you can imagine, Kym is extremely valuable to us! Kym is married with 2 children and one on the way. 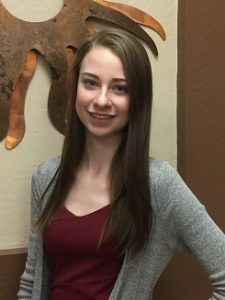 Kaeli has been managing our back office technicians since early 2017. She is very skilled at fitting contact lenses and ocular imaging. Patients frequently compliment Kaeli’s attentive care. Christina started with us in 2016 and has previous experience working with an ophthalmology office. She performs tests, fits contact lenses, and represents the patients to the doctor, opticians, and receptionists. She is cheerful and kind and loves to laugh. She takes great pride in her work. She is Native American and speaks fluent Navajo. Nicole has been with the practice since 2010. She performs clinical tests, obtains ocular photos and scans, fits contact lenses, and helps patients through the exam process. She is gentle and thoughtful and will go out of her way to help patients have a great experience.